Happy Monday, quilters! Welcome back to the Great Granny Sew Along. It is now time to put your Mama's Crochet quilt together, and we have options for you! Kimberly and Lori decided to assemble the quilt a little differently, so we decided to write BOTH options for you and let you choose! You can assemble it horizontally like Lori, or vertically like Kimberly. Just download the appropriate cutting PDF (Lori's Finishing PDF/Kimberly's Finishing PDF) and start putting your blocks together! Kimberly assembled her quilt top vertically. For the vertical finishing instructions, download this PDF and start sewing! Lori assembled her quilt top horizontally. For the horizontal finishing instructions, download this PDF and start sewing! 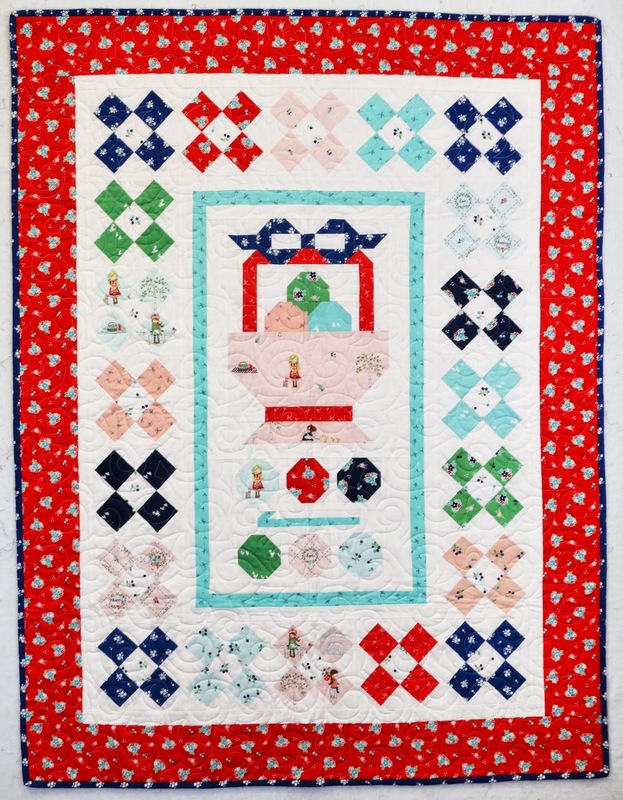 Once you have your quilt top stitched together (or some of your quilt top stitched together! ), post a photo to the Great Granny Sew Along Flickr Group. 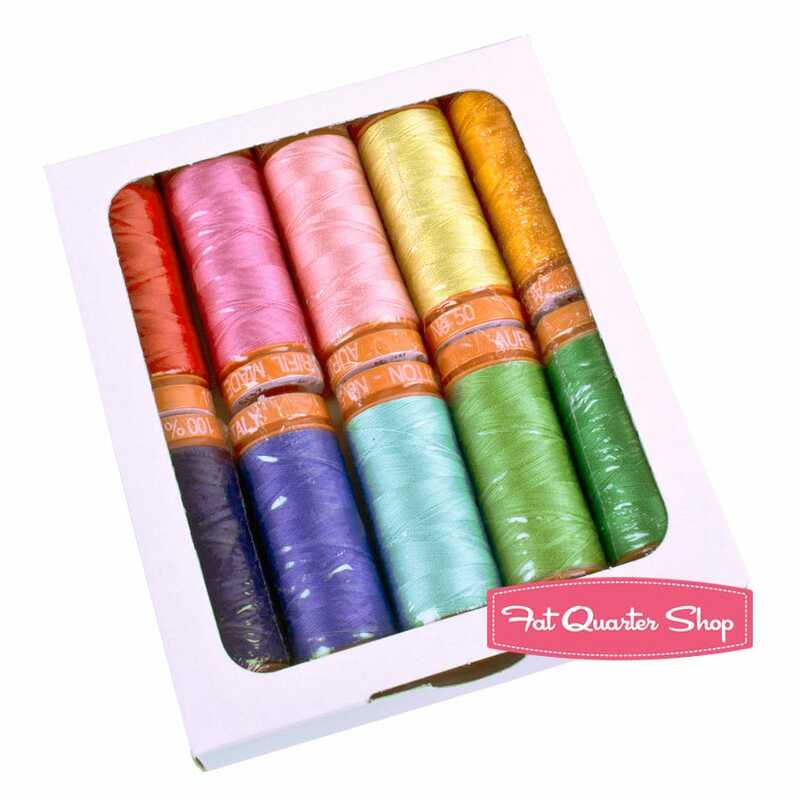 We will choose three lucky winners to win the Happy Colors Small Aurifil Thread Box next week! The lucky winners of last week's 6 1/2" Square It Up Ruler giveaway are BlueDogSews, Johanna 023 & Jelly Quilts. Check back next week to find out if you are one of the lucky winners, and to put the finishing touches on our Mama's Crochet Quilt in the Great Granny Sew Along!